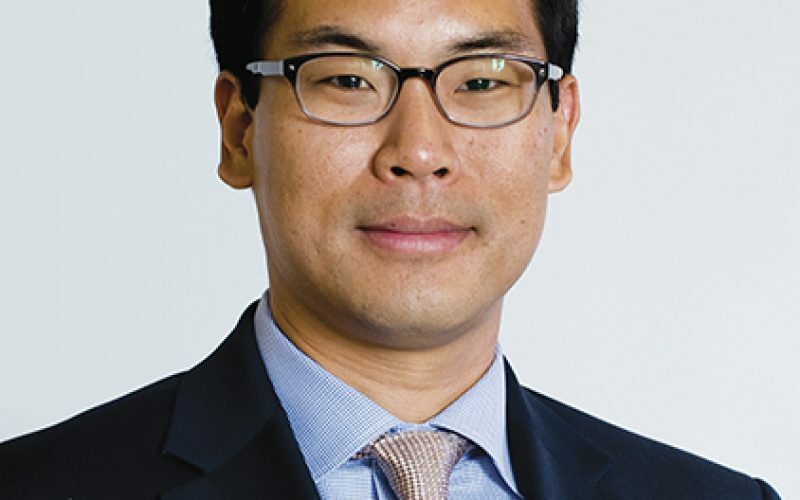 Spinal Surgery News talks to John H Shin, a neurosurgeon at Massachusetts General Hospital (MGH), Boston, USA, about the groundbreaking research he is currently working on and what his game plan is to execute the perfect spinal deformity surgery. The Orthopaedic Spine Center at MGH is a leader in complex spine procedures, addressing problems related to deformity (scoliosis or kyphosis), trauma and issues related to patients undergoing multiple surgeries. The Spine Center has a dedicated, multidisciplinary team to help patients throughout their entire care journey, including spine surgeons, non-surgical doctors, physical therapists, occupational therapists, pain management specialists and advanced practitioners. The spine team use risk stratification models to identify which patients are considered to have a complex spine problem, with a goal to reduce the risk of adverse events and enhance clinical outcomes, which include a patient’s pain relief, safety and satisfaction. The team is focused on early patient engagement, preoperative optimisation for surgical intervention, improved operating room efficiency and greatly coordinated postoperative care. The programme also incorporates novel means of patient engagement and interaction via virtual visits and other tools such as email and text messages. SSN: As a qualified neurosurgeon, what is your experience and training background in the field of spinal surgery? JHS: I completed fellowship training in spine surgery at the Cleveland Clinic’s Center for Spine Health. Traditionally in the US, spine surgery fellowships are one year, but I spent an additional year focusing on spinal oncology, spine radiosurgery and spinal deformity surgery. This additional year was instrumental in allowing me to develop my research interests as well as to further specialise within spine surgery. This fellowship is unique because of the combined neurosurgery and orthopaedic spine surgery training model, which is rare. This provided comprehensive training in advanced spinal reconstruction techniques, many of which I continue to use and develop in my oncology and adult spinal deformity practices. As a neurosurgeon, the opportunity to train with and learn from experts in orthopaedic spine surgery was a life-changing experience. As an aspiring spine surgeon, I sought to learn and see as much as I could with regards to surgical techniques in both neurosurgery and orthopaedics, but particularly orthopaedics, as I wanted to be technically proficient in any spinal technique. I took advantage of my time in Cleveland to not only develop the technical foundation for what I do now, but to build upon the great relationships I developed with mentors and colleagues there. It is there I learned about the value of team-based care, multidisciplinary collaboration, and the value of subspeciality expertise. My main clinical and research interests are in spinal oncology and spinal deformity surgery. I perform spinal tumour operations for patients with benign and malignant tumours that come primarily from the spine (such as chordoma, chondrosarcoma, giant cell tumour), as well at metastatic tumours; and tumours that arise from other organs and spread to the spine (breast, prostate, lung). I also perform complex spinal reconstruction surgery for patients with degenerative conditions such as scoliosis and other deformities of the spine. SSN: What drove you to choose surgery as a career – and spinal surgery in particular? JHS: I studied neuroscience as an undergraduate and was fascinated by how the brain, spinal cord and nerves control the functions we typically take for granted in life, such as eating, walking, listening to music or playing sports. I became fascinated with the frailty of life and the potential deleterious and devastating effect of trauma to the central nervous system. This is what drew me to neurosurgery in general – I was amazed with and intrigued by the challenge to reverse damage to the central nervous system, regardless of the cause, with surgery. When I was a resident-in-training in neurosurgery in Chicago, I remember performing a spine tumour operation on a young adult where the tumour was compressing the spinal cord and causing progressive weakness, affecting the use of her arms and legs. The tumour, a sarcoma, was massive and required two separate staged surgeries with eventual resection of the tumour, decompression of the spinal cord, and reconstruction of the cervical spine. The patient did remarkably well after that operation and I was struck by how mobile and motivated she was to get stronger and rehabilitate. Not only was the surgery technically challenging with little room for error, but the potential reward and positive impact for this young woman inspired me to pursue this as a career. SSN: Massachusetts General Hospital’s Department of Neurosurgery works on groundbreaking research in spinal surgery. What are you working on at the moment? JHS: I currently have a number of research projects spanning the breadth of spine surgery, from laboratory science investigations with our molecular spine laboratory, clinical trials in spine trauma, biomechanical testing of surgical reconstruction techniques, and patient outcomes research. A key area of interest is studying how the surgeries we perform impact and benefit our patients over time. For patients with spinal deformities, their pain and disability may be unbearable and their quality of life can be poor. The way these patients see the world is impaired as they may have a condition that affects their ability to hold their head up, stand up straight, or even walk, due to the development of abnormal curves in their spines. These types of surgery are high-risk, but potentially high-reward to these patients. My research team is currently studying how these surgeries impact these patients with carefully selected computer-based questionnaires that help us measure their degree of pain, disability, anxiety, depression, and loss of function before and after surgery. This, along with critically analysing the data we use to help us with our surgical selection and decision-making process, seeks to improve our outcomes, minimise the complications, and provide better function. Though we take great pride as spine surgeons as to how post-operative films look, this does not always translate to a good or desired clinical outcome. Our research is looking at numerous variables that may be able to help us predict and select the ideal surgical candidates and in what circumstances. SSN: Can you tell us more about your spinal deformity programme? JHS: I joined the Massachusetts General Hospital neurosurgery faculty in 2011 and shortly thereafter developed clinical and research programmes in spinal oncology as well as spinal deformity. These are my main areas of expertise and interest. Surgeries to address these types of complex spinal conditions are challenging and are often associated with high complication rates. Accordingly, one of the most important discussions in the field presently is how to reduce these complications and get patients through these operations safely so that they enjoy the benefit in the long term. As any experienced spine surgeon knows, these operations are often long and are physically demanding for the surgeon and for the patient. Just like building a house, there are numerous steps required to successfully perform these surgeries and depending on the type of tumour or deformity, the surgery might require more than one stage and be performed on a separate day. Within the field of adult spinal deformity, I am particularly interested in cervical and cervical-thoracic deformities. These are spinal conditions that affect patients in a profound manner. For instance, someone with a chin-on-chest deformity may not be able to raise their head enough to look in front of them or to even eat. Patients with severe head tilt may not be able to straighten their necks to keep their heads neutral due to pain or severe muscle spasm. In addition to these structural issues affecting the alignment and orientation of their head and necks, many of these patients also have severe nerve root or spinal cord compression symptoms. When this happens, patients may lose the ability to raise an arm, use their hands, or even walk due to poor balance and coordination. Patients with these types of deformities often have a complex combination of symptoms and issues that are often related, all adversely, affecting their quality of life. The goal of these operations is to anatomically align their cervical and cervical-thoracic spines to a more desired alignment and to also decompress the spinal cord and nerves fully so that they may also experience symptom relief from compression on their nervous system. In the world of spine surgery, we are starting to have a better understanding of how to assess these cervical deformities and also how to plan and measure the desired degree of anatomic correction. This is a major area of active research that my research team is doing here at the MGH. My research team is also studying various reconstruction techniques used in these cases to determine which constructs are biomechanically superior. After any spinal reconstruction, there is a possibility of the rods or other implanted hardware to fail or break. This can be very painful for patients and there are many factors that may lead to this. Studying the biomechanical rigidity of various constructs helps us in our decision-making process of how to best reconstruct and stabilise the spine during surgery. Having trained at the Cleveland Clinic, where it is common to have surgeons operating together as part of teams, I sought to build a clinical surgical team for these types of spinal deformity surgeries at the MGH. I knew that several of my orthopaedic spine surgery colleagues were also interested in adult spinal deformity so I approached them about teaming up in what we call a two-surgeon model. In this way, patients who require complex reconstruction for spinal deformity, particularly with three-column osteotomy or vertebral column resection, we can perform these operations together. We have found in our experience that having two experienced spine surgeons operating together significantly shortens the operating time, minimises anaesthesia, decreases the blood loss, and lowers the complication rates associated with these surgeries. This is consistent with the growing body of literature that is now being published specific to this topic. I am also presenting and publishing our team-based model at our scientific meetings. With increasing focus on quality and safety of patient care, this is a major area of active research – finding ways to improve the process to minimise the adverse events associated with spinal deformity surgeries. Another key component to this team is including an experienced plastic surgeon who specialises in soft tissue reconstruction and wound repair. Because of the deformed nature of these spines, closing the wound in a way that optimises healing is often difficult. This may result in infection or even dehiscence of the wound. When this happens, patients are miserable and this type of delayed tissue healing negatively impacts their recovery, mood and function. In many of these cases, patients had previously undergone surgery, sometimes several, making the quality of the tissue for closure and healing poor. The plastic surgeons I work with bring incredible experience and expertise to the team and the patients love the idea that a plastic surgeon will help close and repair the surgical site to the best of their ability. I grew up in Chicago in the era of Michael Jordan and the Chicago Bulls. Any basketball fan of that time will recall the team’s legendary triangle offence. This is my version of the “triangle offence” for spinal deformity surgery – myself – a neurosurgeon, orthopaedic spine surgeon, and a plastic surgeon working together to execute a game plan. There are clearly others involved with this coordinated effort including nursing, anaesthesia, and radiology for example, but this is the core model of the programme we have developed. This has worked very well and we are constantly researching the numerous factors that are associated with outcomes. SSN: What would this mean for the future of spinal surgery and for the patients? JHS: The goal is to make spine surgery safer. We know that spine surgery benefits patients, but sometimes that benefit is not realised due to complications or perhaps not realising how significant the surgery would be based on our current processes for evaluating pre-operative risk. There are incredible advances being made in spine surgery with regards to robotics, visualisation, instrumentation and imaging systems. Learning how to incorporate these technologies to make surgeries safer and more effective is exciting to be a part of. As amazing as these reconstructions can be, they do fail sometimes, and when they fail, it can mean more surgery for the patient. SSN: How do you think the future looks in the field of spine surgery? JHS: It is an exciting time to be a spine surgeon. There is an incredible exchange of ideas and research at meetings around the year, both in the US and abroad, highlighting the innovations in care that ultimately will better the lives of many people. There is an ongoing effort in almost every subspeciality of spine surgery to collaborate across centres such as the MGH, drawing upon the expertise of specialists from around the world. It is a great privilege for me to be part of this.